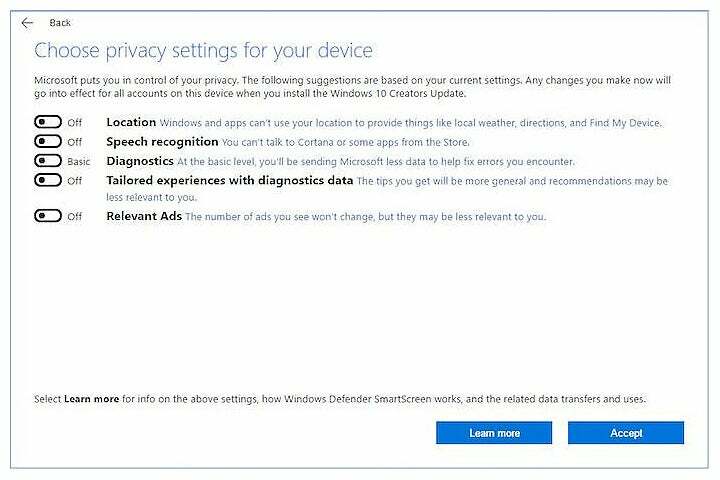 When the Windows 10 Creators Update arrives next week, its users will have several privacy options to comb through in order to customize how much of their personal data Microsoft can collect. Undoubtedly cognizant of the recent uproar over access to consumers' computing data following President Trump's approval of a resolution that allows ISPs to collect and sell it, Microsoft on Wednesday announced that it will share all the data it can collect on Windows 10 users, as well as offer them several options to turn off that sharing. Although most monitoring categories in Windows 10 can be turned off, the full list of diagnostic data is remarkable for the level of detail with which Windows monitors its users' computing habits. 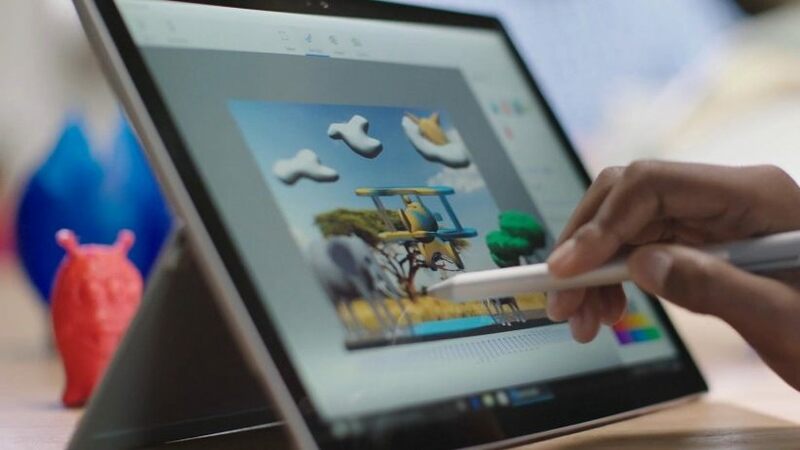 For example, the operating system can send Microsoft information on how many purchased tracks are in your music library, the resolution of your images and videos, the languages of the ebooks you're reading, the search queries you use while browsing the internet and much more. If you set your diagnostic data-sharing permissions in the Windows 10 Creators Update to the most restrictive level, called "Basic," Microsoft promises that data sharing will be mostly limited to software crashes. "We looked closely at how we use this diagnostic data and strengthened our commitment to minimize data collection at the Basic level," Windows and Devices Group Executive Vice President Terry Myerson wrote in a blog post. "As a result, we have reduced the number of events collected and reduced, by about half, the volume of data we collect at the Basic level." When you're setting up Windows for the first time or running a clean install of Windows 10, you'll see toggles for several familiar privacy settings: location, speech recognition and ads. If you turn these off, Microsoft won't track your location, you won't be able to use the Cortana digital assistant and you won't see targeted ads. There are two more toggles for privacy settings that are a bit more cryptic: diagnostics and "tailored experiences with diagnostic data." If you turn both of these on, that's when you'll be sending detailed information like ebook languages and search queries to Microsoft. It's worth noting that the diagnostics toggle has only two settings: "Full" and "Basic," which means you'll always be sending at least some data to Microsoft. The company also provides a comprehensive list of what's collected under the "Full" setting.